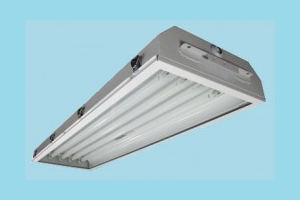 Designed for applications requiring metallic fixtures. Excellent for wet and damp locations. Typical applications include Chemical Plants, Water Treatment, Paper Mills, Machining Areas and Coal and Dust Storage Areas. 18 Ga. steel white housing .